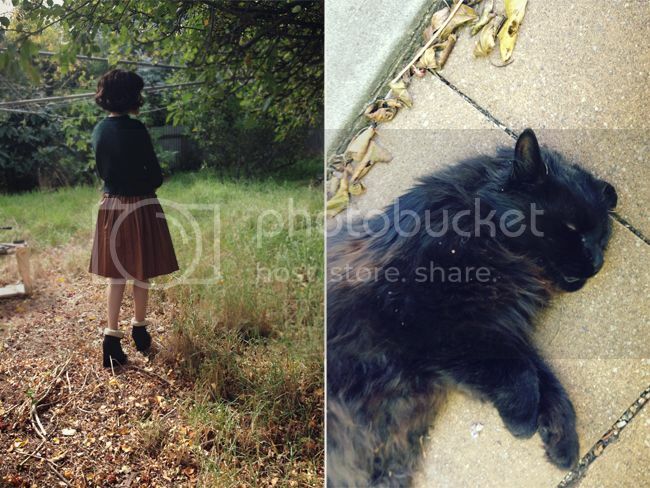 This is the last set of photos my mum helped me take when I visited on my last trip. Still loving my little book clutch! I usually don't wear skirts that are longer than mid-thigh, but this knee length faux leather skirt from Chic Wish is the perfect colour and material for cooler weather and I love how it looks with chunky heels. P.S. I now have Instagram, which I've been updating nearly every day, so come follow me if you're interested in snippets of my everyday life! My username is leblogdesushi. I love this outfit! And especially that ring, very nice. 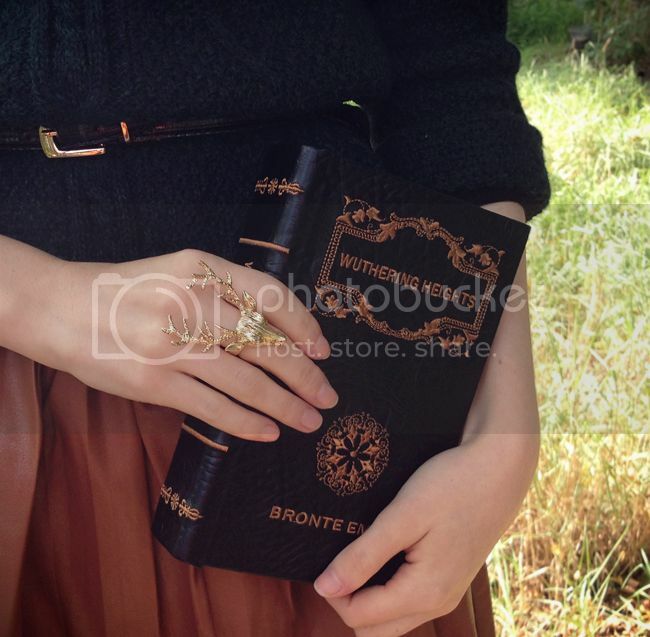 Wow, that's such a gorgeous hard cover for Wuthering Heights. I love your booties! 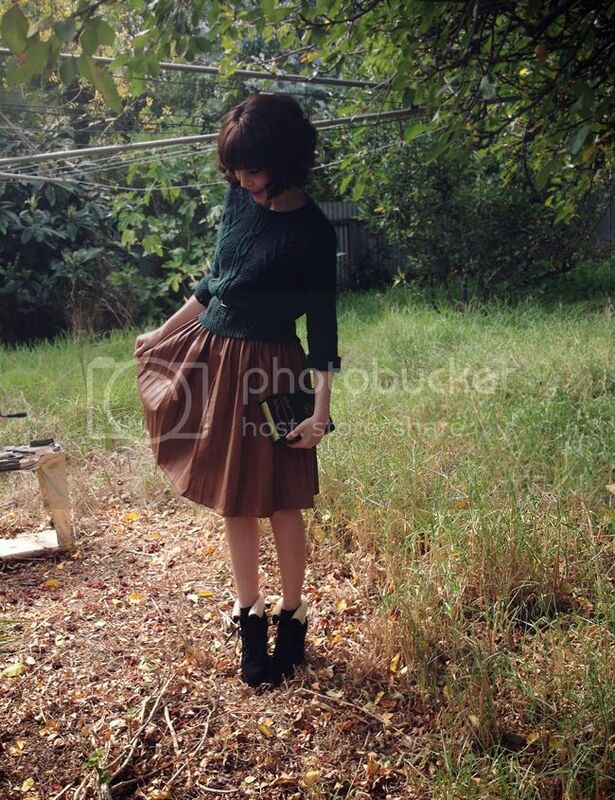 This skirt is gorgeous, it goes very well with this sweater. I love this outfit. 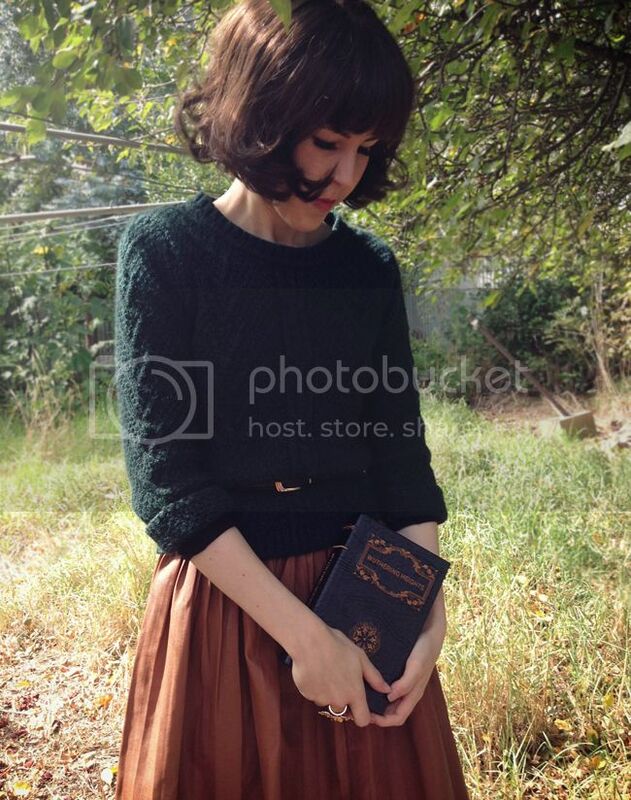 I love this outfit and omg that wuthering heights book is the most beautiful version I've ever seen! So pretty ! This look is perfect :) You look wonderful ! That length skirt suits you, especially with the belted knit. And that ring is so lovely. Great outfit. Love your very cute outfit! Your outfit its just perfect! 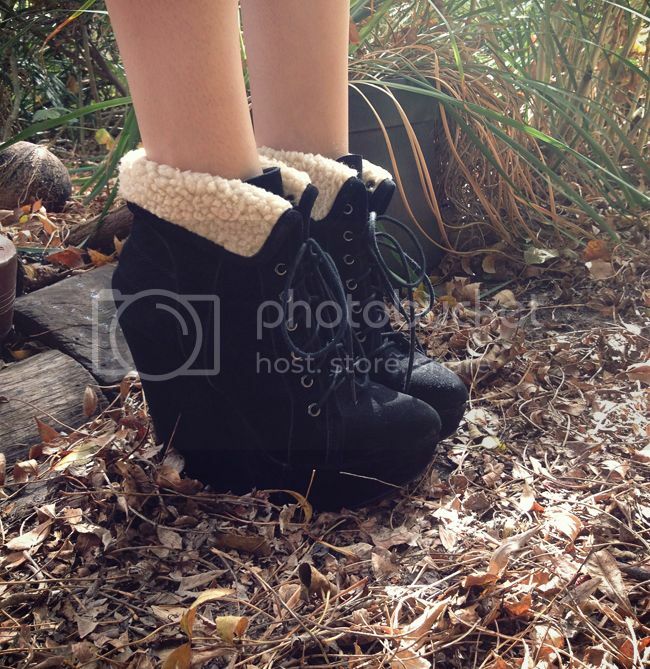 Lovely boots and sweater. 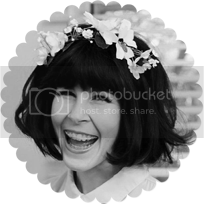 I just found your blog and I immeadiately fell in love. This is another example of a gorgeous look. I love simplicity of this look and the book is perfect.